Is yours one of the opera type ones from trademe Miliwolf? Yeah, just one of the cheap Opera pots. I did add weight by tying on a section of fencing standard to the bottom. Otherwise they float and move around a bit to much. The entrances of the Opera pot are quite small which prevent the bigger crabs from being caught. No good if you want them for eating, but the smaller ones are less fiddly to use for bait. I’ve used a opera net in the surf at okains bay and even got a few. 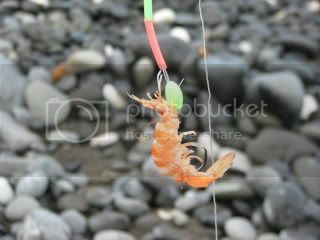 I walked out to waist deep and dropped the pot and ran a reel of 50lb nylon back to the beach where I was fishing. worked good calm conditions wouldn’t try if was rough.